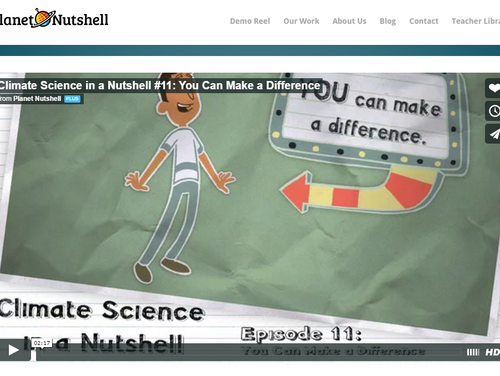 This short video makes the case that rapid climate change affects the whole planet, but individuals can make a difference and make their carbon footprint smaller. Common suggestions are identified for young children to consciously consider what they can do. 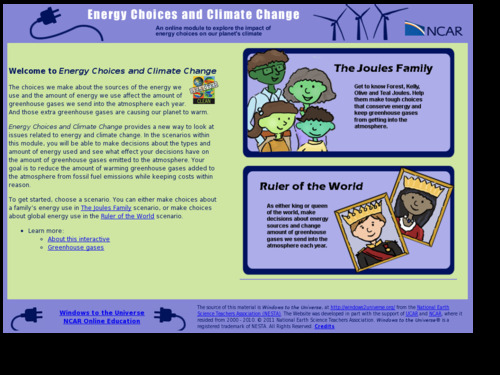 This interactive provides two scenarios for students to look at issues related to energy and climate change: from the perspective of either a family, or a monarch.